There are over 70 million people today who rely on wheelchairs to get around. The number of people with limited mobility is increasing as a flux of the population begins to age. Car manufacturers, like Toyota, are using their mobile technology to create signature wheelchair design options. The goal is to have a creative, sound mobility chair that is focused on durability. Mobility is an essential function in life. If you or someone you know and love suffers from knee or hip issues, it can be challenging getting around, but even more so for those who are completely immobile. Fortunately, wheelchairs were designed for people with limited mobility. 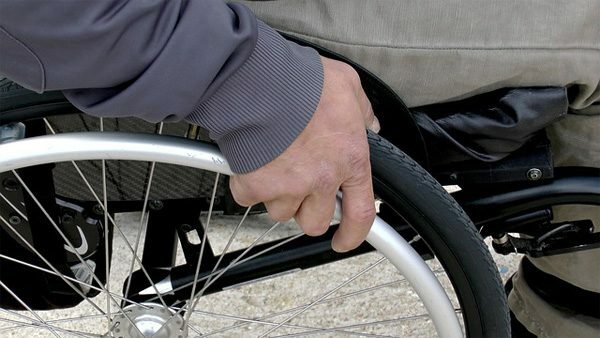 However, traditional wheelchair design left many people using their arms and hands to turn the wheels on their chair, leaving them frustrated and drained of energy. Plus, the first wheelchair innovations were considerably bulky, requiring costly home modifications to move the wheelchair in and out of the door. It was also complicated to transport these wheelchairs in and out of most vehicles. The first wheelchair was constructed in 1595 and was made of wicker and, to make matters worse, it was known as the invalid chair. These chairs were a constant reminder of an individual’s inability to be able to walk or get around; they were cumbersome and nearly impossible to move around. Earlier wheelchairs were also hard to lift and push. Plus, the wood was also responsible for a lot of injuries. 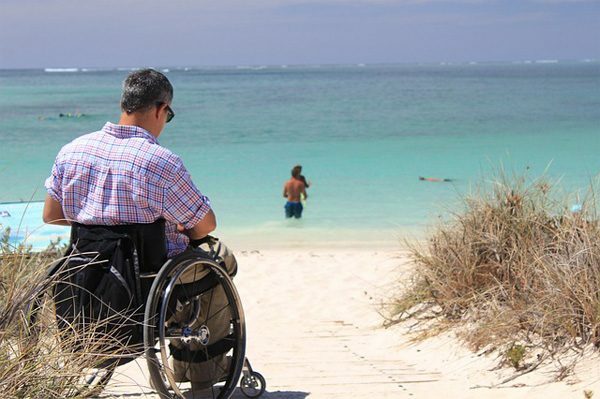 Today, most wheelchairs have evolved to provide more functionality. While a wheelchair is essentially a chair on wheels, you also want a comfortable seat to help you get around with ease. Today, many mobility chairs have given individuals with disabilities a new lease on life. 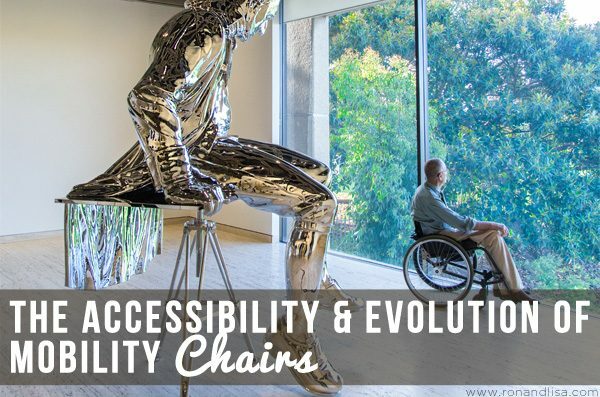 At zingerchair.com, you’ll find great examples of how the wheelchair has evolved. These chairs allow one to go anywhere with ease and flexibility. They’re lightweight and easy to transport into a car or van. You can fold the Zinger to 10″ in less than a minute without ever having to pull it apart. Users admire the complete flexibility of Zinger and also receive a free bonus storage case with your purchase. The variable speed of a power chair is five to six miles per hour, or mph. However, some chairs can go to an average speed of up to ten mph. Power chairs are meant to be active wheelchairs that help someone with limited mobility to manage life. A power chair is more durable than a manual chair. New models, like Zinger, don’t believe that faster is necessarily better; their focus is getting you to where you need to be with rich functionality. Zinger wheelchairs offer a benchmark in durability. Learn more about the increased feature of wheelchair options by visiting them online. Many mobility chairs today also focus on being protective. As they have become motorized, power chairs are engineered for safety. That means you eliminate the need of the chair tipping over. There are electric and motorized chairs, and both of them have similar functions. An electric wheelchair is controlled by a joystick and usually doesn’t fold. Electric wheelchairs are more expensive than a mobility scooter. Plus, you can charge an electric wheelchair from the convenience of your home. A mobility chair has the added ease of being able to fold and store it in your back seat or trunk of a vehicle. Many people prefer a mobility chair over an electric scooter. Best of all, a mobility chair is customized for people of all ages. When you’re shopping for a chair, consider your form of transportation. The convenience of a mobility chair is determined by whether or not you possess your vehicle. It’s also critical to determine if you’ll be using your chair indoors or outdoors. You want your chair to be able to maneuver all of the elements. Can it handle rocks and cracks in the breezeway? Is your mobility chair comfortable on your indoor hardwood floors or carpet? These are all critical questions to determine the type of chair for your specific needs. The quality of life for those with disabilities will certainly be enhanced by the creative design features of mobility chairs in the future. The mobility chair of the future will focus on climbing stairs. If you’re interested in finding the best chair for you or a loved one, speak with your primary care physician for advice today.